Bonita Bay is a magnificent community that is comprised of charming private neighborhoods that offer a wide range of residences and properties to interested homebuyers. Those who are looking to move to Bonita Springs can choose from single family homes with custom designs, villa homes as well as luxurious high-rise condos. All of the properties are located right near the Gulf of Mexico, beautiful natural preserves, golf courses, walking and biking paths, lakes and premium shopping and dining centers. The Bonita Bay community is designed to meet the needs of residents and to provide a one-of-a-kind Bonita Bay lifestyle in Southwest Florida. Individuals who reside in Bonita Bay can also become members of the Bonita Bay Club and access all the wonderful amenities and activities offered there. Bonita Bay residences are split among the 57 neighborhoods in the area and each community is unique in its own way and has something to offer for interested homebuyers. The single family homes in these exclusive neighborhoods are fairly spacious ranging from around 2,000 square feet to 7,000 square feet and nearly every property has a private swimming pool. All properties offer breathtaking views of the natural preserves in the area, the golf courses, lakes and even the Gulf of Mexico. Here is a short introduction into some of the beautiful single family homes in Bonita Springs. Bay Woods – The Bay Woods neighborhood is a private community that consists of 32 single-family estate homes that range between 4,500 and 7,000 square foot floor plans. Each home has a private swimming pool and sweeping views of the lake, golf course or the nature preserves. Creekside – Creekside is a wonderful community with 84 single-family homes that overlook the picturesque Creekside golf course in Bonita Bay. Residents enjoy the privacy, the daily comforts, the charming neighborhood and the friendly neighbors. Deerwood – Deerwood is an intimate neighborhood in Bonita Bay with only 16 homes that are generously constructed on large plots of land. Deerwood is one of the smallest neighborhoods in the region and offers a relaxed refuge with easy access to the area’s abundant beauty and recreational amenities. Hidden Harbor – Hidden Harbor offers 53 luxurious single-family homes right in the heart of Bonita Bay. The exclusive neighborhood is quiet and relaxed and is made up of four Oak-lined streets. The homes offer outstanding views of the beautiful natural surroundings as well as access to the Gulf of Mexico. Ibis Cove at Bonita Bay – Ibis Cove is a highly desirable neighborhood in Bonita Bay that offers 29 beautiful lakefront homes, which range in size from one-half to three-quarters of an acre. Laurel Ridge – Laurel Ridge is a small community that has 20 single-family homes that offer generous living space, private swimming pools in each home and outstanding views of the wooded areas and the lake surrounding the community. Oak Knoll at Bonita Bay – Oak Knoll is a unique single-family home community with 33 estate homes. Eleven of these homes border the Imperial River and offer private boat docks with Gulf access. River Ridge – The 23 homes at River Ridge are lined along a single street that meanders through natural preserves and offers views of the golf courses and the lakes. Homes range in size between 2,800 and 6,000 square feet and each home has its own private swimming pool. Rookery Lake – Rookery Lake is a tranquil and luxurious neighborhood with 47 single-family homes. Some of the homes are even located right on the water and range in size from one-half to just under an acre. Spring Ridge – The Spring Ridge community is home to 61 luxurious single-family estate homes. Each home is beautifully designed with grace and elegance in mind and is built to cater to the needs of the residents. Woodlake at Bonita Bay – The single-family homes in Woodlake are expansive and the land around the homes is also fairly spacious. Residents enjoy the openness and the luscious landscaping. The homes are custom-built and each property has unique qualities. There are 100 properties in the neighborhood. 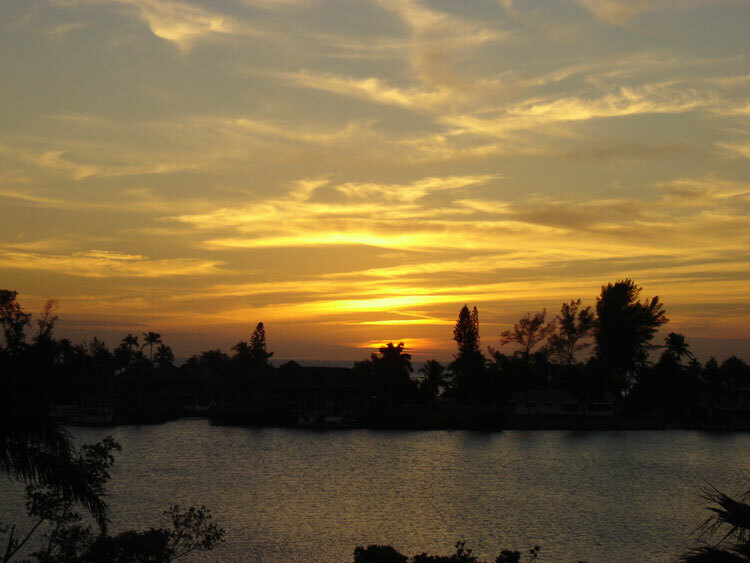 The single-family home communities and neighborhoods in Bonita Bay are highly sought after and in certain communities it is rare find properties for sale. If you are interested in browsing through the listings of single-family homes in Bonita Springs make sure to contact the team at DNA Florida Real Estate. Dan Humbert and Alberto Quiceno are experienced and professional real estate agents and they would be more than happy to assist you in finding your dream home in Southwest Florida. Connect today to get started!